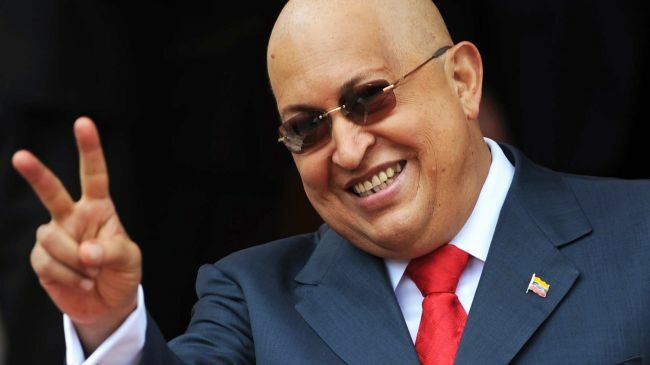 Venezuelan President Hugo Chavez died of cancer at a military hospital in Caracas on March 5, 2013. We know that the bankers who own the US government routinely try to kill any Latin American leader who refuses to be their puppet. We know that they have mounted thousands of assassination attempts against Latin American leaders, including more than 600 against Castro alone. We know that they have been experimenting with cancer viruses, and killing people with cancer, since the 1960s. The Venezuelan president himself, before he died yesterday, wondered aloud whether the US government ~ or the banksters who own it ~ gave him, and its other leading Latin American enemies, cancer. Strange indeed… so strange that if you think Venezuela’s Hugo Chavez, Brazilian President Dilma Rousseff, Paraguayan Fernando Lugo, and former Brazilian leader Luiz Inácio Lula da Silva ~ Latin America’s top anti-US empire leaders ~ all just happened to contract cancer around the same time by sheer chance, you must be some kind of crazy coincidence theorist. Fidel Castro’s bodyguard, Fabian Escalante, estimates that the CIA attempted to kill the Cuban president an astonishing 638 times. The CIA’s methods included exploding cigars, biological warfare agents painted on Castro’s diving suit, deadly pills, toxic bacteria in coffee, an exploding speaker’s podium, snipers, poison-wielding female friends, and explosive underwater sea shells. The CIA’s assassination attempts against Castro were like a Tom and Jerry cartoon, with the CIA as the murderously inept cat, and the Cuban president as a clever and very lucky mouse. Some might even argue that Castro’s survival, in the face of 638 assassination attempts by the world’s greatest power, is evidence that El Presidente’s communist atheism was incorrect, and that God, or at least a guardian angel, must have been watching over “Infidel Castro” all along. Perkins, during his career as an “economic hit man,” gained first-hand knowledge about how the big international bankers maintain their empire in Latin America and elsewhere. Perkins’ job was to visit leaders of foreign countries and convince them to accept loans that could never be paid back. Why? The bankers want to force these nations into debt slavery. When the country goes bankrupt, the bankers seize the nation’s natural resources and establish complete control over its government and economy. If the leader accepted the loans, thereby enslaving his country, he got the payoff. If he angrily chased Perkins out of his office, the bankers would call in the “asteroids” to assassinate the uncooperative head of state. The “asteroids” are the world’s most expensive and accomplished professional killers. They work on contract ~ sometimes to the CIA, sometimes to the bankers, and sometimes to wealthy private individuals. And though their specialty is causing plane crashes, they are capable of killing people, including heads of state, in any number of ways. Do CIA-linked killers sometimes induce cancer in their victims? Apparently they do. One notable victim: Jack Ruby (née Jack Rubenstein), a mobster who was himself a professional killer, and whose last hit was the choreographed murder of JFK-assassination patsy Lee Harvey Oswald in the basement of the Dallas Police Department. Ruby begged to be taken to Washington to tell the real story of the JFK murder, but instead died in prison, of a sudden and mysterious cancer, before he could reveal what he knew. Have the CIA-bankster “asteroids” ever tried to kill Latin American leaders with cancer? I am afraid that you are terminally naïve. ED Noor: A few others I have suspected as being victims of these induced cancers in the past include film maker Aaron Russo who blew the whistle on the Rockefellers and the NWO then died of cancer within a short time, controversial comedian Bill Hicks whose incendiary dialogue would have upset many, and Bob Marley.